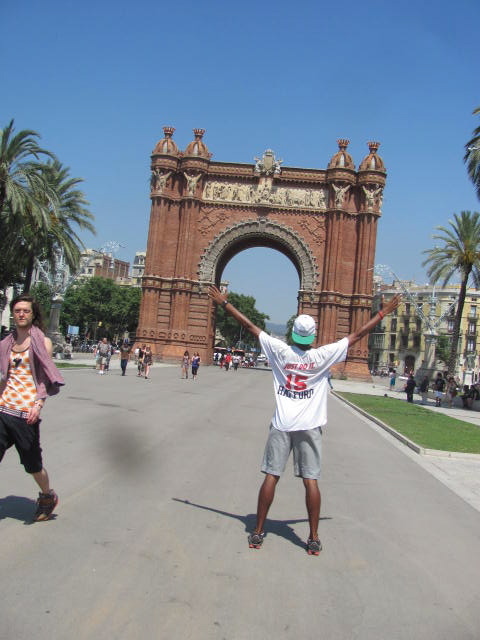 Ballin’ on a Budget: Barcelona! Barcelona busted my budget. After experiencing how cheap Europe could be in Prague I got a nice reality check in Spain. But I loved every minute of it. The restaurants, beaches, bars, clubs, and historical sites were all great. Everything in Barcelona is uniquely Catalonian. The culture of the people is unlike anywhere else in Spain. Catalan pride is almost palpable. Barca is the type of international city people dream of living in. It has all the touristy attractions you want in a big city, mixed with local pride and flair. Not to mention it’s just a short (and cheap!) flight away from Madrid, Paris, Rome and London, just name a few cities. I’d absolutely love to live here someday. I’ve just got to brush up on my Spanish and try to figure out Catalan. Gaudi Architectue: Antoni Gaudi eis easily the patron saint of Barcelona (besides Picasso!). You find his works and influence all over the city. His world famous architecture is known for its unique and distinctive flair. The distinguishing color and design of his work left an impression on the city that remains unrivaled. 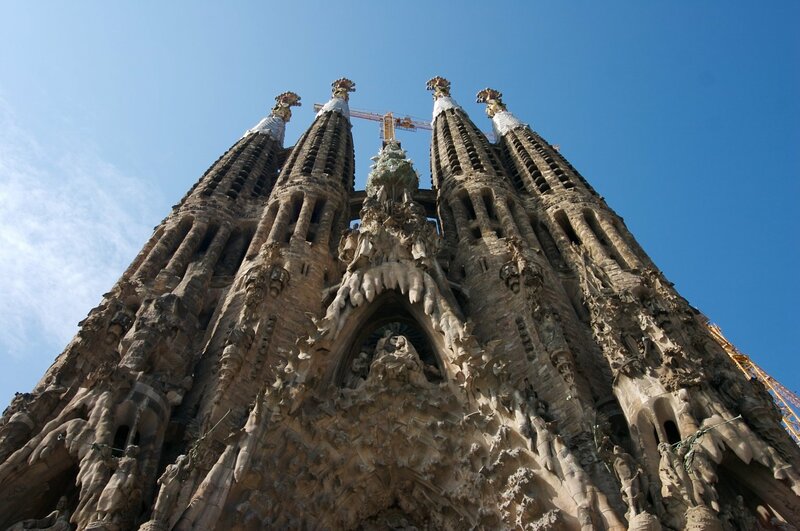 La Sagrada Familia is Gaudi’s crown jewel (even though he left it unfinished). You can’t go to Barcelona and not stop by to check it out. Park Guell – Probably one of the most interesting (and hardest places to find from the metro…) parks I’ve ever been to. The design is distinctly Gaudi and one of a kind. Casas – You’ll undoubtedly see several of the houses he was commissioned to build around the city in your EuroTrip. They make for an interesting mix with the modern European architecture of the rest of the city. Museo Picasso – The Picasso Museum offers free admission on the first sunday of every month. The line looks deceptively long but it’s completely worth the wait to check out some of his best work. You’ll also see some familiar sites from around Barcelona in his paintings. La Rambla – This main street in town is Tourist Central but nevertheless it’s still a pretty interesting spot to people watch and grab some souvenirs. 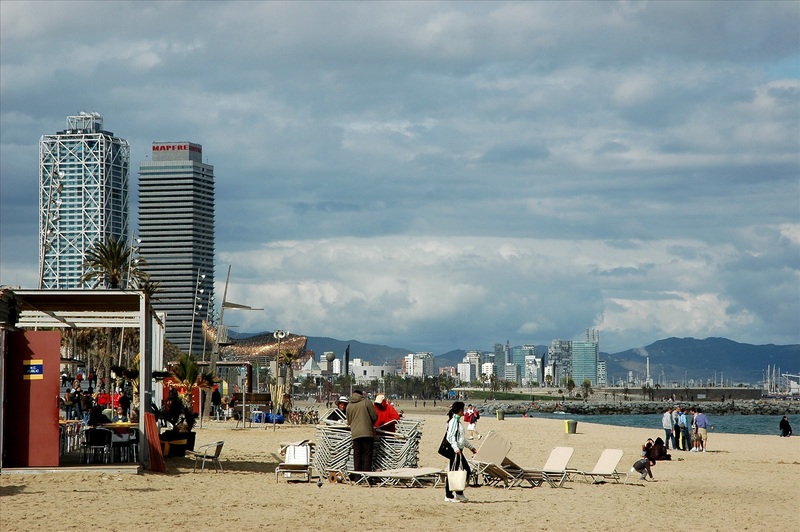 Barceloneta Beach – It’s always good to take of break from the hustle and bustle of busy city life by relaxing at the beach. While this beach in the heart of the city isn’t the prettiest, the beautiful coeds from all over the world make up for it and then some. LOW: That I could only spend a few days in such an amazing place. HIGH: Meeting up with friends and doing the Bike Tour of Barcelona! Great way to see the sites! So Fly In My Bow Tie · Flying around the world with a sophisticated swagger and hoping to get a bigger budget!